Here is a handy infographic that breaks down all of the elements of a quality marketing pin. A bunch of great information here, so you may want to bookmark this one and reference it when you are pinning. Pinterest Insider: 4 Ways to Build Up Your Business’ Following on Pinterest Quickly Ok, so you've set up your Pinterest business page and started pinning away. So how do you get other users to follow you? 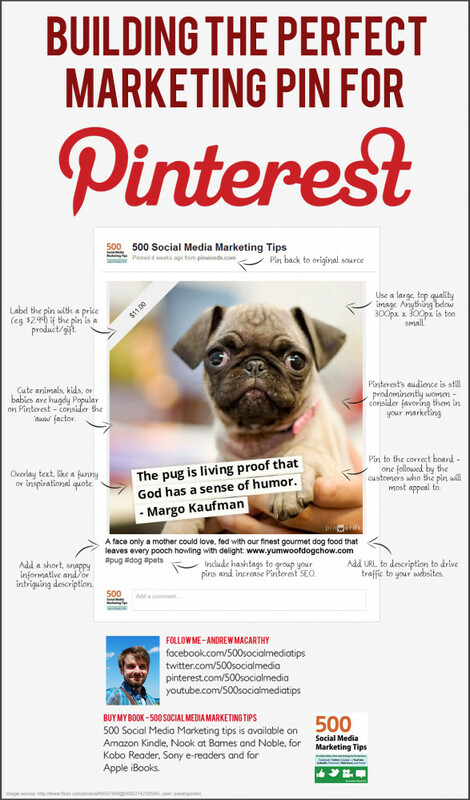 The Ultimate Pinterest Cheat Sheet (INFOGRAPHIC) Pinterest marketing toolmaker Pinerly has created this handy cheat sheet infographic that I though all of you Pinners might find helpful.